The only thing Martin Scorsese loves more than propping ambitious men at the top of a cliff and watching them fall back down is propping ambitious men at the top of a cliff, giving them buckets of cash, and then watching them fall back down. 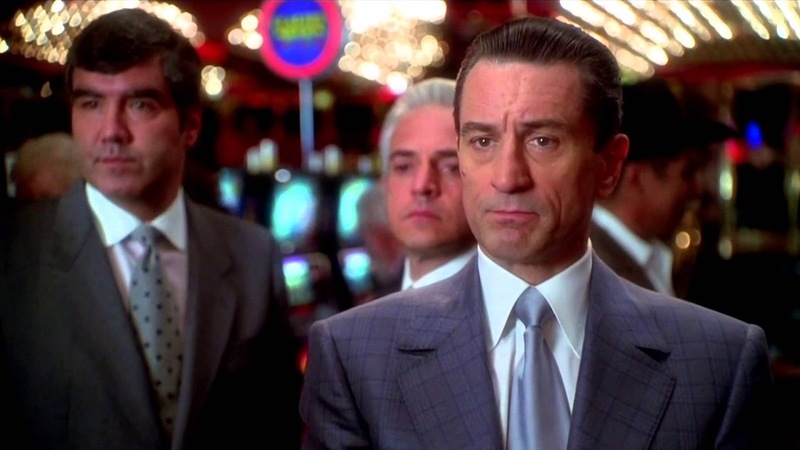 In Casino, Sam Rothstein (Robert De Niro) owns and operates a casino in Las Vegas. He's at the top of his business, but the force pulling him back down isn't so much his own greed (that's part of it, but not the main part), it's his friends. Nicky Santoro (Joe Pesci) is originally Sam's muscle, but he's so violent that he eventually gets kicked out of the gambling scene altogether and starts his own mafia ring. Ginger McKenna (Sharon Stone) is originally a hustler in Sam's casino, but she's so driven by the affection of others and the acquisition of wealth that she accepts Sam's proposal to marry him. What follows is easy to see coming, but that doesn't make it any less impressive in its execution. Nicky is an unstoppable force, and he eventually meets an immovable object. Ginger is a people person, and she's slowly taken away from her people. Their world of greed and gambling and corruption begins to collapse in on itself. What makes Scorsese's movies unique from many other fall-from-grace narratives is that he rarely assigns any blame to his characters. They're just a product of their environment. (Even Jack Nicholson in The Departed, despite his speech to the contrary, seems to fall into this rule.) This in itself is an interesting political stance—are we not responsible for the consequences of our actions?—but what it means for his movies is that his thematic concerns lie elsewhere. In the case of Casino, he is of course interested in the corrupting influence of money, but in a more nuanced way than usual. Ginger's downfall is the clearest example of this: even after Sam gives her everything she could ever want, all of her actions are motivated by the desire for more. Money is never fulfilling in itself; Ginger has to show it off to her daughter or demanding more from a witless mark ("I want my cut!"). But instead of criticizing Nicky for her behavior, the film is much more interested in criticizing the money's corrupting influence. It's not her fault for falling under capital's allure, it's capital's fault for being alluring in the first place. "Fault" is even the wrong word for what Scorsese communicates here: it's merely that money, in its objective dimension removed from humanity, corrupts all innocence, regardless of how pure. It is depathologizing in its corruption. In Sam's final monologue, he explains how big corporations took over Las Vegas ("Today it looks like Disneyland.") and laments the days when gambling had a personal touch to it ("In the old days, dealers knew your name, what you drank, what you played"). In other words, the problem lies not in the inherent nature of casinos, but in who runs them. When they're run by human beings, they're acceptable; when they're run by blind capital, they become inhuman. 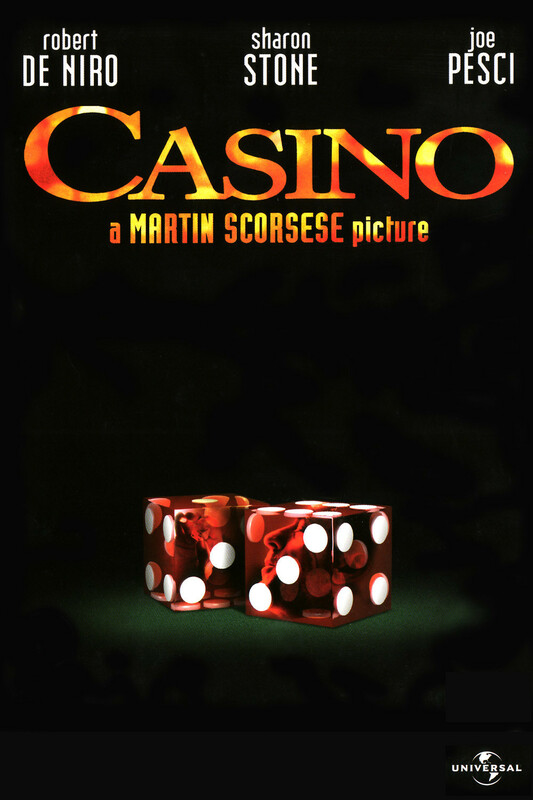 Thus, Casino tells the story of the fall of personal touch and the rise of faceless business; the fall of individualism and the rise of capital. This implosion of the humanity and individualism within capital is reflected in the gradually collapsing decadence of the film's style. The opening act of the story is set up with gorgeous, pristine photography, and the geography of both Las Vegas and the casino itself are mapped out with elegant, flowing tracking shots, carefully orchestrated montages, and well constructed expository voiceover. As the characters begin to burn out, as the ground begins to fall out from under their feet, this extravagant style changes shape into something more chaotic. The cuts come quicker, fragmenting the narrative. What were once straight, steady shots take on more tilted angles. Scenes are chopped up with step printed slow motion and freeze frames. The previously luxurious style disintegrates along with the luxury of the characters. Since Casino came so close to entering the five-star club for me, I'd be remiss not to mention some of the problems I had that slightly held it back. As well constructed as the character arcs are, I couldn't help feeling that they were also a bit over-telegraphed. Maybe it's my familiarity with the Scorsese model, but I could see where all these characters were going as soon as they were introduced. This isn't a huge concern since every element of the film is so well executed (performances, editing, cinematography, soundtrack; it's all great), but for a three hour film, I would prefer not to be able to see so many of the beats coming before they hit. I also never bought into the relationship between De Niro and Stone. Their performances were excellent even when they become melodramatic or overblown, but we never got to see why they fall in love. It's just one of those "love at first sight" affairs, which would be fine if, again, the movie weren't three hours long and didn't rely so heavily on the presupposed but never fully established stability of their relationship (he gives her the key to his safe deposit box, he opens the film with a quote about true love). He believes entirely in their love, and I couldn't understand why. 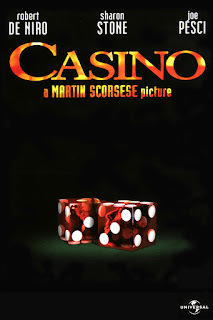 Despite these minor issues, Casino was still a wonderful experience for me and shot up quite high into my favorites of Scorsese's filmography. It's incredibly well crafted, and it's a smart continued development of the director's signature themes. If you love traditional Online Casino, which is a classic and diverting board game which is just right for family night, or any of the several Online Casino Österreich such as once around Deluxe, you'll probably love this online roulette game https://online-casino-osterreich.at! !